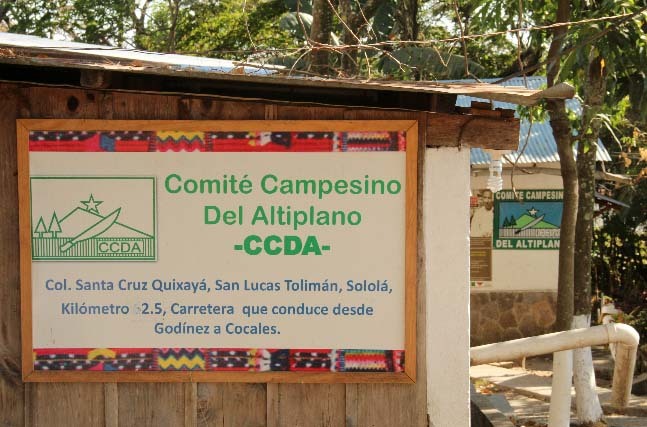 The CCDA (Comité Campesino del Altiplano) got its start in 1982, during some of the most turbulent years of the Guatemalan civil war. Originally named Campesino Committee in Defence of the Highlands, and headquartered in San Martin Jilotepeque, Chimaltenango, the organization was perceived by the military government as an armed opposition group – which ultimately led to the arrest, disappearance, assassination and exile of many of the CCDA directors. 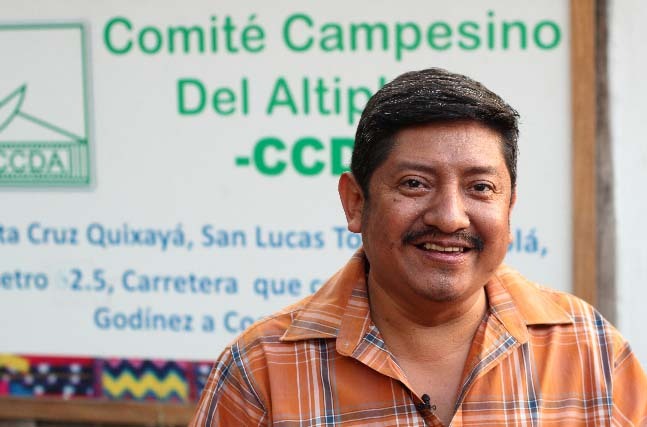 And while the organization continued to struggle for recognition of land rights for their Indigenous communities, the CCDA changed its name to the Campesino Committee of the Highlands in the hopes of establishing a more peaceful relationship with the military authorities. However, it had to continue working clandestinely until 1988, when the armed conflict slowly subsided. CCDA succeeded in becoming a legal organization by 2000, and CCDA members were finally able to participate more freely at regional, departmental, national and international levels in defense of Indigenous access to land and the agricultural situation, labour rights, human rights and the Mayan cultural situation. CCDA as a political organization operates in 11 departments in Guatemala, but Cafe Justicia — the branch of the organization that supports the production and marketing of members’ coffee — operates solely in the Lake Atitlan region. 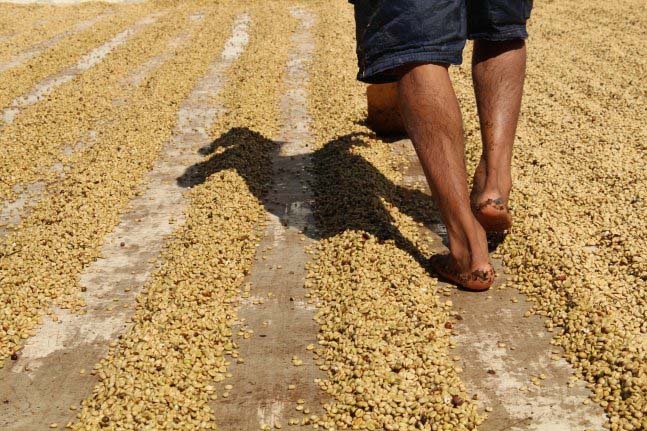 Coffee is one of the major sources of support for their political struggles; and Cafe Justicia hopes to continue expanding their markets in the United States and Canada via our member roasters and others. Locally, CCDA has made huge strides in promoting organic agriculture amongst its members and in Sololá. They have 3 part-time organic técnicos and an agronomist on staff, advising members on best practices in organic agriculture. CCDA has four centers for organic fertilizer production, which produce bokashi, vermicompost and effective micro-organisms for members. Their worm composting project, which has been growing since its inception in 2008, now has each center producing about 1000 lbs of compost in a month, which is then sold to members at the subsidized price of 60 quetzales (about $8) per 100 lb sack. Meanwhile, bokashi and seedlings are offered free of charge to members, based on a system of coop loyalty and how much total coffee is sold to the coop versus to outside intermediaries. Through their hard work on the land and diligent quality control through every step of processing from harvest to drying patio and on to final selection, the members of CCDA are able to produce a fine coffee with classic Lake Atitlan region characteristics: clean and sparkling acidity, balanced with nuances of plum and tropical fruits, rich body and dark cocoa. 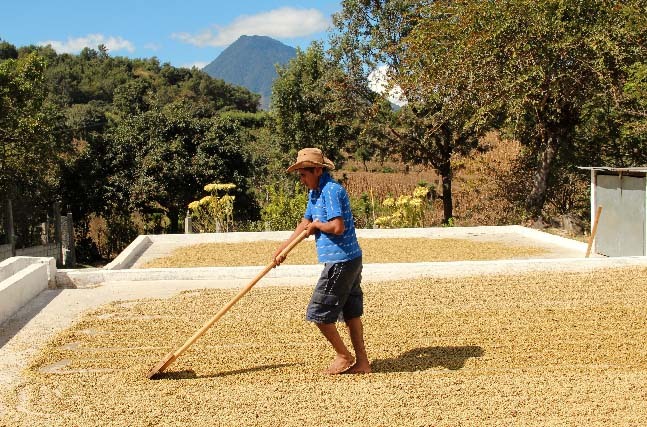 Through the successful export and sales of their coffee, Cafe Justicia supports CCDA’s efforts to lobby the Guatemalan government for more equitable rural development policies and basic respect for Indigenous Rights. Improved access to education is one important fruit of Cafe Justicia’s labour. From the profits of their coffee sales, CCDA has established a scholarship fund – from primary school through university. In 2012 alone, they had 32 students – the sons and daughters of CCDA members – enrolled in university thanks to this program. They also have established a 200,000 quetzal, rotating credit fund available to members. 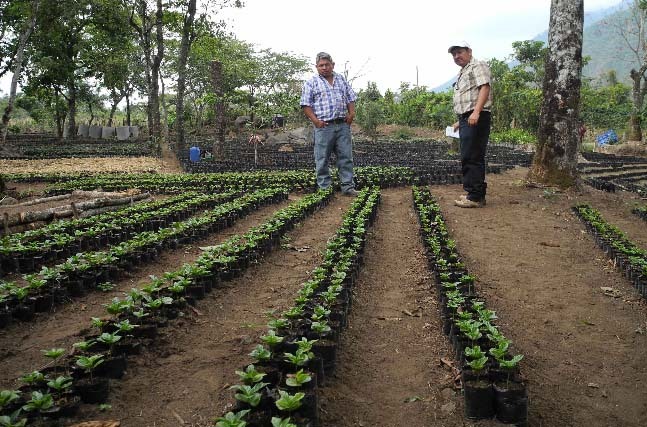 Cafe Justicia lends out a maximum credit line of 5000 quetzales (about $650) for investment in renovation, pruning and shade management in coffee plots, as well as micro-credit lending program available to members for non coffee-related investments. In the town of Quixayá, CCDA operates a local clinic and pharmacy which offers discounted health services to CCDA members as well as to the general community. We only began importing from CCDA in 2011, but have quickly developed a friendly and trusted relationship. We look forward to our long and mutually beneficial future to come!